Hey crafty pals! I don't know about you, but I LOVE to listen to podcasts. They're my go-to while I'm crafty, cleaning, driving, etc. 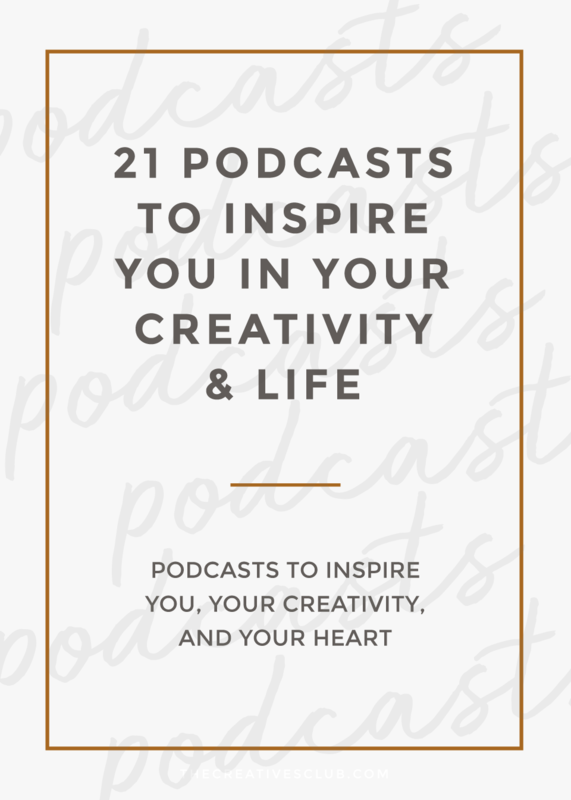 Today I want to share with you 10 podcasts that I am loving for inspiration. Whether it's the content, the podcaster(s), or the overall theme - these podcasts amp me up and make me feel ready to take on the world (or my crafty space)! These podcasts range from getting crafty to running a creative business, and more! I've broken them up into categories so you know which ones you should check out, based on your interests! Rather than giving you a full description of each (because that's what the podcast description is for), I've listed them by name as you should search for them in your podcast app. Along with that - some of these podcasts are no longer running, but the episodes that are still available are great and totally worth binge-listening to! I know I definitely missed some good ones here, so leave your recommendations below! Let's make this one huge list to use as a resource and share with others!